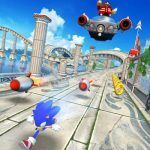 Sega’s Sonic Runners is only available for iOS devices, but if you own an iPhone or an iPad, you’re in luck, as this is an official Sonic game putting you in control of the iconic video game hedgehog. While simpler than the usual Sonic title, this is a great casual experience as an “endless runner” game, which also allows you to play as some of Sonic’s friends, including Tails and Knuckles. You get to enhance your character’s skills, as well as compete with other players around the world, aside from your own friends. 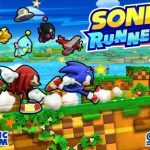 So if you’re getting ready to play this game on your iDevice, you may want to read on further as we bring you some Sonic Runners cheats, tips and hints, starting with those for new players. 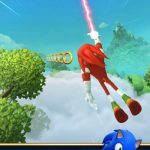 The official Sonic Runners website will teach you all the basics of the game, and while the best way to improve your high score and clear all those challenging levels is to practice, practice, practice, the website can answer all of your questions and possibly help you get out of a hole. Each episode or level played comes with five plot points, or story events. Some of these plot points can be extremely helpful, as they also serve as tutorials to help you in current and future episodes. For example, if you have to score 50,000 points to make it to the next map points and you end up scoring an impressive 80,000, the extra 30,000 points will go toward the next map point. So if you’re having an easy go at certain episodes, we advise you to really bear down and not take it easy – those extra points you earn could help you level up even if you don’t do too well in your next run. It’s a good idea to play Sonic Runners as often as possible, as you’ll be getting three roulette spins per day you login. Landing on a “Big” or “Super” spot on the roulette will allow you to get better prizes on your next spin. All you have to do is click on the extreme left icon on the lower part of the map so you can try your luck and spin the roulette wheel. Showdown levels are essentially boss battles and these serve as a great way to regain your lives. However, accessing a Showdown level will need a bit of extra work – don’t click on Play as that’s going to take you to a standard level. Instead, click on Showdown, then click on Begin Boss Battle to access these particular levels. Eggman will appear during specific points in standard runs, and while taking him on constitutes as a boss battle, he’s not going to actually kill you or hurt you severely. As such, it’s a good idea to use your battles against Eggman to recharge, get some additional rings and points, and get ready for a new run.